The daily grind of life can be detrimental to your health. Work, bills, and stress all take their toll. Add in the depressingly long and cold winter months and we all are in desperate need of a healthy recharge. You need a vacation, so why not rejuvenate in the UK? Take time to plan and enjoy some spa days in Scotland! The winter weather is harsh on your skin and can leave it dull, dry and lifeless. That's just one area that spas can help with. Spa treatments can do a lot more for your health than you may think and they are vital to keeping your body balanced naturally, especially in the peak of winter. Having a spa day or a complete spa vacation can serve to relax your entire body. Massage can help to circulate your blood more effectively, digest food better thereby helping your digestive tract, and rejuvenate your lymphatic system by disposing toxins and waste. Having a massage during the brutal winter months will help relieve the aches and pains you feel if you have a cold or any other illness as well. A spa day can sometimes include a hot tub or relaxing Jacuzzi treatment. This means you will be subjected to a hydrotherapywhich means your body will be healed through steam and hot water. This can be of particular benefit durng the cold months of winter. It can also assist in the healing of sore muscles and stiffness without having to resort to muscle relaxants. You may even discover a stimulation to those important endorphins which are responsible for making you happy, another thing often effected in the winter! In addition to all the other benefits listed above, you will most likely find that you sleep better and lose those irritating stress headaches. Steam treatments can help to dilate blood vessels in your head allowing your blood to flow better. This causes the headaches to go away and ultimately results in much better sleep. Health spas are notorious for doing this and can tailor the treatment to fit your goals. You might even lose a little weight, thanks to relieving your daily stress and taking the advice provided to you by your spa consultant. This is information you can take with you back to your home so you can continue to reap the benefits of your spa getaway. A spa holiday in Scotland is perfect for those who love the beauty of nature. Once you are done with your relaxation and rejuvenation, head on out to explore the beautiful countryside. 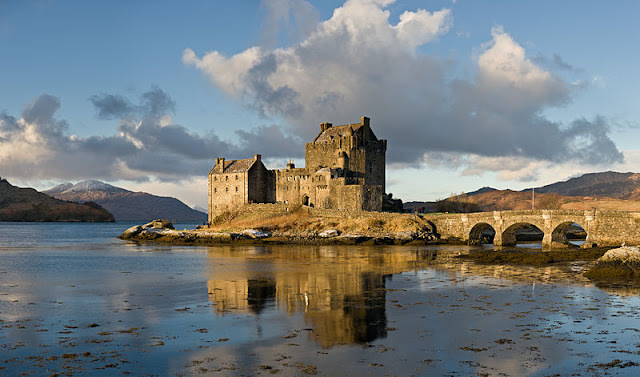 Have a day that’s fit for a king or queen and visit an actual castle! Scotland is known for gardening and horticulture, so nurseries are in abundance. Be sure to check out the Royal Botanic Gardens for a spectacular array of plants. Enjoy nature and the relaxing benefits it affords. If you don't want to travel up to Scotland you can also enjoy some spa breaks in the north west of England where you can leave the hustle and bustle of the cities and escape to tranquility. Here you can enjoy health clubs and spas, some of which are actually set in beautiful old Victorian buildings. After a relaxing portion of your vacation you can also get out and see the sites of Manchester including one of many canal cruises. A spa vacation is one that you will probably never regret and it's the trip that keeps on giving after you leave. Do it for your health. Do it for your sanity. Do it because you're worth it. Love your blog! We've just booked one of our favourite luxury holiday cottages in the UK for this summer. I can't wait, just hope the weather is nice.